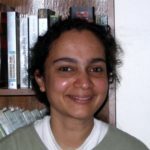 Nidhiya Menon has experience in applying the tools of empirical microeconomics and econometrics to the areas of economic development, labor, and economic demography. She has been a researcher at the Grameen Bank in Bangladesh, and a consultant with the Development Economics Research Group and the Economics and Development Institute of the World Bank. At Brandeis, she teaches courses in development economics and statistics.